As a little girl, I remember spending hours on the terrace, watching the birds return home with the sun setting behind them, I loved watching them, I loved sunsets. Even at that tender age, questions about the mysteries of life haunted me, ‘Is human birth only meant for the mundane as life looked like a series of repeated cycles of pain and pleasure or was there more?’ ‘Is there something I don’t know?’ I looked up to the infinite sky for answers but couldn’t see any of them trickling down, only my prayers became deeper. There was a strong urge of growing up soon, so I could have an access to that which looked so distant and enigmatic. My first teacher is my father. His high morals and righteous conduct always guided me to walk the path of dharma. In my teenage I would sit with him for hours together, debating the purpose of life. The human mind with its intricacies interested me, so, after completing junior college from Maharani Gayatri Devi school in the ‘pink city’ Jaipur, I decided to study Psychology in my 1st year. Psychology as a subject confused me further and it did not take long for me to realize that this was not the revelation I was looking for, so I switched to fine arts and specialized in painting. The magical world of colors gave a temporary sense of relief to my muddled mind. Painting a canvas was like meditation for me, time would go by and with it take me to unknown spaces. I soon began freelancing as an artist and expressed my work through various exhibitions. My first exposure to spirituality was at 19 when I got initiated to ‘Sahaj Samadhi’ meditation. Something happened, something stirred inside. It was like a cold dip in the river Ganga, like rain in the desert, my mind felt fresh, clean and settled. The human birth was about more indeed! I saw myself deliberating, upon the path of truth. The course of wind took my sail into most unexpected transitions. I became a business woman, handling a home furnishing store at a leading hotel in Mumbai. As much as I thought that I was averse to business, what kept me going was meeting people, from all over the world, different nationalities and religions, knowing their outlook about life and facts about their beautiful world. For a seeker, the most important milestone in their journey is when a Guru is discovered in their life. It was the year 2002 when I got my first ‘darshan’ of Gurudev. That first glance of the master pierced through my heart. I could not comprehend the gravity of what had happened, but something definitely happened, I was no more the same. From that day onwards, it was following his knowledge and taking his message of peace and love and sharing it with the world that became the purpose of my life. As a volunteer with The Art of Living, I saw the constant transformation that came into the lives of people through ‘Sudarshan Kriya’. They found solace and relief from the miseries of the world and a fountain of joy sprung from within them. 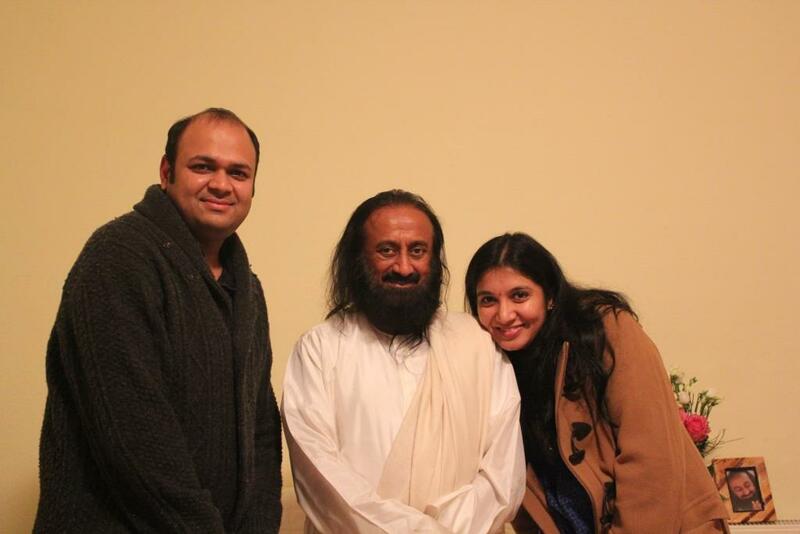 Gurudev says, ‘when you take responsibility, ability is also given’, and that holds true for me. 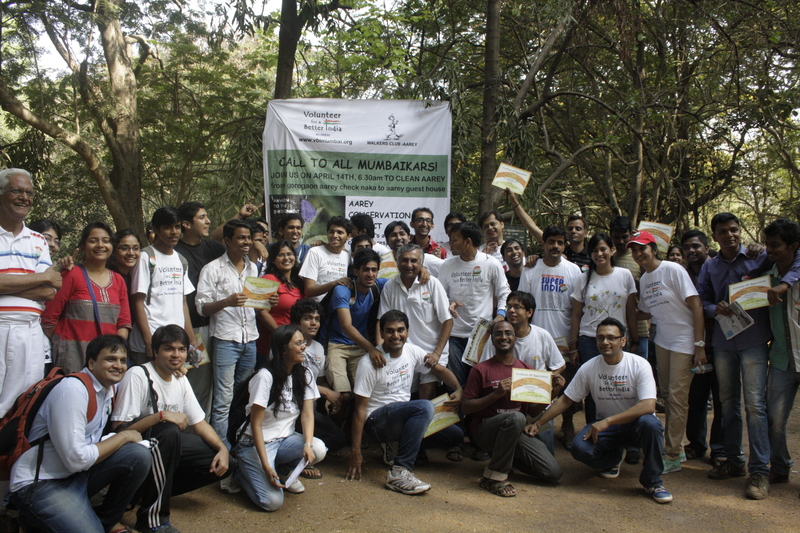 No matter what initiative I took and worked for, whether it was cleaning roads (Clean inside clean outside project with the Bombay Municipal Corporation), planting trees (Project Go green) or walking with the people of India, against corruption (In support of India Against Corruption), instructing the part 1 course or YES!+(youth empowerment and skills workshop), writing for Happified’ (an e-magazine for the youth), helping Mumbai traffic police in its campaign( Mind your vehicle campaign on traffic safety by VBI) or more recently leading a campaign to increase Voting percentage throughout the country ( I Vote for better India project of VBI) the means and ability were always provided. God has been kind, to gift me ‘Siddharth’ as a life partner who also aspires relentlessly to contribute to the master’s vision and respects and loves him from all his heart. Nine years ago, life took a very crucial turn. Shashwat our son, was just born and Siddharth was still struggling to set up his own business after loosing everything to his uncle first, and then to his business partner who cheated him. Success seemed dim in his new venture, as he started with only a small loan from the bank, and was competing against companies with turnovers of billions. It so happened; one day we decided that a percentage of whatever we earn should be contributed for the ‘gift a smile’ project. Miracles started happening from that day. Siddharth says “every time a donation was made, some big obstacle would be removed and a new order would come, almost instantly”. The growth that has happened after that day in business is unimaginable, beyond the threshold of reason. We are blessed, and we feel blessed too, to be a part of such an amazing project. Siddharth wishes of a day when he will support at least a thousand kids in a year. I’m sure that day, with Gurudev’s blessings, will come soon. Four years back, we moved into our new apartment. We named it ‘Srikunj’, which means (Gurudev’s abode). Astonishingly, soon after we shifted, Gurudev walked in to our home, and adorned ‘Srikunj’ with his divine presence. All throughout his visit, he kept saying “I am chained”, “I am glued”, in fact it is us who are chained and glued to him with his love. Travelling around the world with Gurudev and attending some of his discourses on Ishavasya Upanishad, the Bhagat Gita has been the most beautiful and profound moments of our lives. The time spent in his presence has been engraved in our lives and will be cherished by both of us. 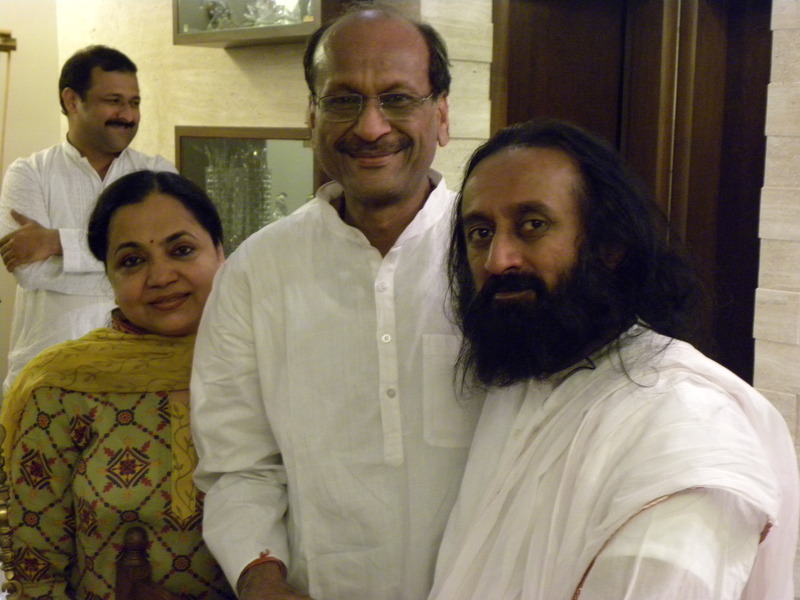 The vision of Gurudev of a ‘One world family’ is what inspires my every moment of life. And as a part of this beautiful family of The Art of Living, spread across the world, it is a privilege and the greatest blessing to contribute to this vision in my own little way. Life has unfolded itself and still does, in such a perfect manner, as though it was all predestined and carved so beautifully in the infinite, having found a ‘Satguru’ in life, who holds my hand every moment, as I walk towards my goal, what more can I ask for?